Davison Hayes was born on the 4th of May 1924, in Pollard, Clay County, Arkansas. Before enlisting in the army he worked on a farm, doing his share to bring in more money for his family. 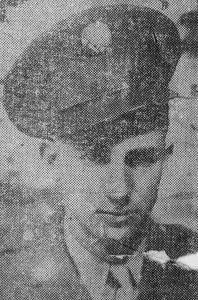 Davison Hayes enlisted in Little Rock, Arkansas on the 10th of December, 1943. After his training he was assigned to the 60th Infantry Regiment of the 9th Infantry Division. 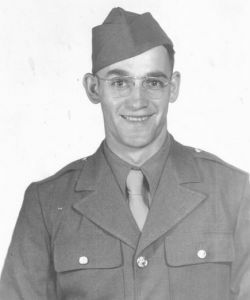 At the same time, his brother John Sherman Hayes was also fighting in the war, serving with the 26th Infantry Regiment of the 1st Infantry Division. Davison’s brother, Private John Sherman Hayes, KIA as well. Davison arrived at the Belgian border early September 1944, and participated in the Meuse River Crossings. After crossing the river, his unit got ambushed by a group of German soldiers, and he was seriously wounded. He then was taken to the Stalag 6G Prisoner of War Camp near Bonn in Germany. What happened here is unknown, but Private Davison died in the camp a few days later. Sadly, his parents also received a telegram that his brother John was Killed in Action just two months later, on November 24th, 1944. John was brought back to the United States and is buried at the New Hope Cemetery at Pollard, Clay Country in Arkansas. Davison however, was never recovered and remains Missing In Action to this day. 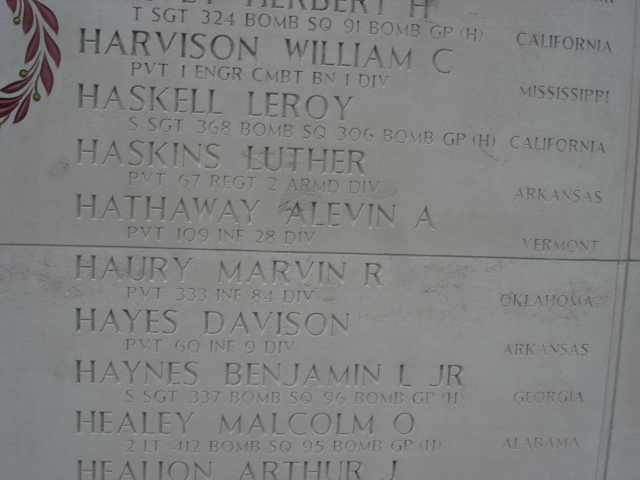 Private Hayes is mentioned on the Wall of Missing at the American Cemetery at Margraten, the Netherlands. We are still trying to get more information about his life, and would appreciate any information. Special thanks to Ancestry.com, Findagrave.com, and Laura Phillips.